New book by Noreast's own John Skinner! A Season on the Edge chronicles a season of surfcasting from the shores of Long Island. 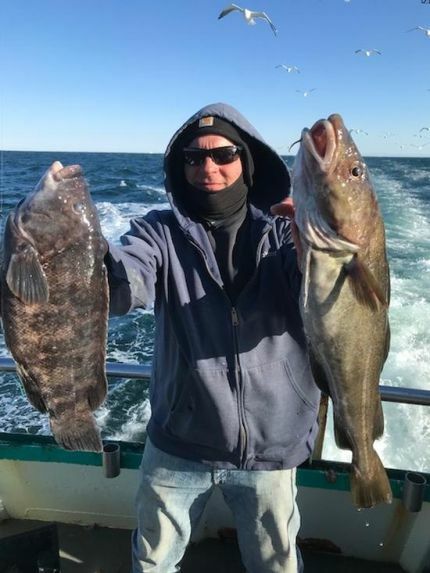 These stories draw the reader into the experiences and the atmosphere of each trip, and are told with a level of detail that presents useful techniques and strategies that can be applied anywhere along the striper coast. If you see a post in the discussion boards that you think is inappropriate in some way, you can do something about it! Just click the badge icon above the post and it will be reported to the moderator. We're making it easy to buy and sell fishing products with our newest feature: Noreast.com Classified Ads! "MyNoreast" is your very own custom Noreast.com Homepage. Get your information the way you want it. It's totally customizable and totally free. Give it a try now! Read the NMFS pamphlet to assist commercial, charter/headboat and recreational users and dealers/buyers in identifying the seven regulated Atlantic Tuna species.